Mature bucks easy hunting? 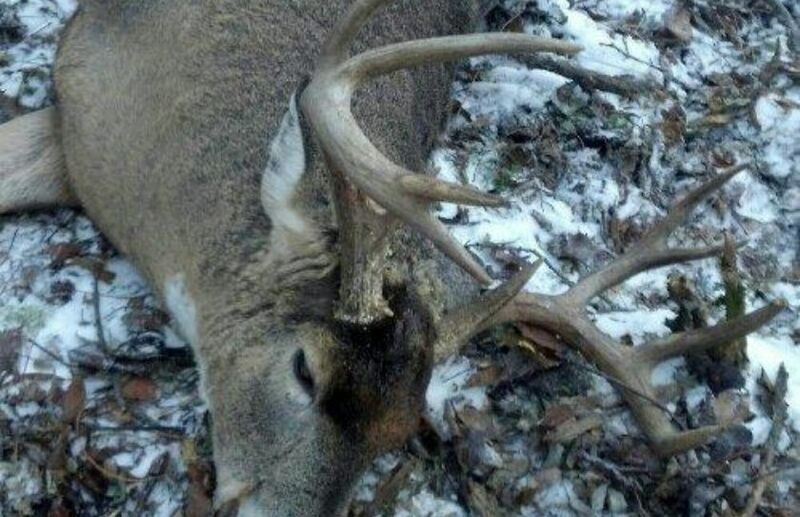 A 3-year old 8 point buck in WI is a Dime a Dozen. He is often so typical that you dont even notice him. In fact, the only reason you may notice him is that he is only an 8-pointnot a 10, 12, or some start to a non-typical future freak. 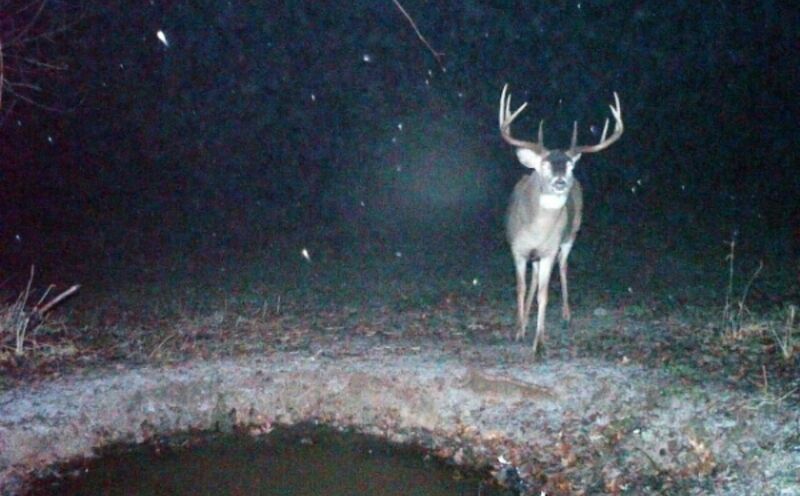 Hes ONLY an 8-point. 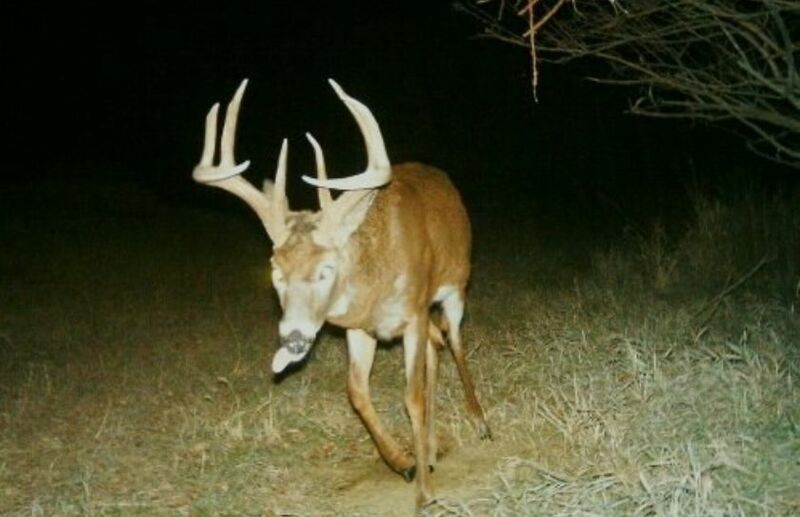 However, if he matures and turns into a big-bodied 6-year old, 25 wide monster with 10-12 tines and huge sweeping main beams...WOW...there is nothing typical about a buck of his maturity level. In 2010 the buck that we called the Wide 8 was a giant and quickly becoming a local legend. He carried slow methodically calculated movements and believe it or not, he was easy to hunt the older he grew. Consider this: If older bucks are available, a 3-year old buck in the area can offer one of the hardest hunts because he has no real home. A young buck will often be pushed around by the big boys, and in the best of bedding areas he isnt welcome because the more dominant bucks typically will not tolerate him. He often forcibly wander across the landscape spending time "here and there", before eventually settling into a small honey hole that features safety from hunters and a low level of stress. A middle-aged buck can be really tough to hunt because he is growing wary and you cant predictably pin him down. On the other hand the older that buck gets, the more set in his ways he becomes, and therefore, easier to predictably kill. It all starts by defining your mature buck bedding areas and then using several indications of in-season scouting, cameras, and hunting stand observations to narrow down which bucks are most likely holding to which bedding cover. Next, you have to have a plan of attack to hunt each bedding area. And lastly, you have to be able to get into those stand locations during the right time of the season, the right time of the day, and with the right kind of weather pattern without being detected. Is it easywell, IF you follow the script, and Im going to do my best to describe it to you so that you can apply it to your own mature buck hangouts. This is a really great topic for another article in itself, but in order to define where a mature buck lives, you FIRST have to define where the various doe family groups call home. The doe family groups take the closest available bedding to the best and biggest food sources and until you can offer those on your propertyor at least recognize those areas within the lands that you hunt, its pretty tough to define where a mature buck will call home. Mature bucks will fall within the scattered 2nd to 3rd layer of bedding opportunity on your parcel, and without those specific layers you most likely wont have enough room. Often when I visit a clients parcel they have very good food sources available nearby, but then there are only 1-2 layers or less of good bedding habitat. It doesnt matter what the quality level of the bedding area is, how a bed is constructed, or how much you leave it aloneit has to be BEHIND the doe bedding group layers from major food or social area in order to house a mature buck. Before making changes I might recommend on a parcel, what position are many of my clients stand locations? They are often located on the exterior of the parcel, facing outward, hoping to catch a mature buck entering back onto the parcel in the evening as they target the food sources. Morning hunting is tough on many parcels because depending on the access, deer can be bumped off of the parcel on the way in. When a parcel doesnt have enough bedding layers, characteristically that also indicates that a parcel can be a very porous parcel that is not very conducive to holding deer, let alone a mature buck. To begin to offer mature buck bedding opportunity you need to first identify, expand, or build doe bedding areas adjacent to food sources. Interior high quality areas can then be improved in the right locations to house deer, while building scattered, remote bedding opportunities in the right locations that you can target for mature buck use. Because those hidden daytime hotspots are away from the major food sources and behind the bulk of the doe family group movements, you can have a great side or back door access to target the individual mature bucks without spooking deer through your access. Note: Using a chainsaw to create bedding areas is fairly easy, and without getting into too much detail your overall goal should be to create an adequate amount of "side cover" in the form of downed trunks, trees and hardwood regeneration. Early successional growth of briars, weeds and grasses are also welcome additions to a chainsawed bedding area, as well as hand-planted conifer varieties that are native to the area. Besides potentially hurting yourself in some manner when using the saw, what else can go wrong? Bedding areas should have enough side cover to hide deer within, from you with varying degrees of openess determined by the region. For example in a Northern OH ag region tight and compact is critical, where in a MN wilderness setting open, remote and surrounded by adequate stem growth is mor appropriate. But in either case, if a deer can't move through your cuttings fairly easily-you need to spend some more time opening it up! No different than a grumpy old manthe more mature a buck is, the more stubbornly set in his ways he becomes. To a very high degree, a wise old buck will use the same daytime Oct/Nov/December bedding area year after year until you spook him away, or you shoot him. How do you know which buck is using which bedding area? On my 234-acre WI lease overall amounts and type of mature buck sign, game camera hints of travel, and in-season hunting observations are great tools for figuring out which buck is using which bedding area. And why do I say in-season observations? Because if its not in-season, there is a good chance that the mature buck you are after is in one of his other seasonal daytime bedding honey-holes. During the 12 years we leased our property, we hunted the same bucks year after year. Many of these bucks were often only on the parcel in Sept/Oct/Dec and in all those years we found exactly 3 sheds on the property. Simply, the deer (in particular the oldes bucks) typically weren't on the parcel during the Summer time, and then left the parcel during the Winter months for better food and cover combinations. In order to have an effective plan of attack you have to hang your stands ahead of time, but maybe not as far ahead of time as you might think. When is the best time to hang a bedding area stand? Personally I like the months of January to August. Most of the time those mature buck aren't even close to settling into their hunting season hotspots until after August. I like to have a great downwind location that offers a decent hidden approach and keep in mind that you arent necessarily hunting a specific deer bed, but instead an area the size of up to a few acres. During late October and early November a mature buck will be pretty aggressive, meaning he will move around and investigate any deer that comes near. As long as you are on the downwind fringe of his area its likely you will have an opportunity. I also like stand sites just outside of a mature buck bedding area, either on exit or entrance trails. Add in exterior natural or enhanced pinch-point and its pretty easy to get close to a bedding area for a defined high-probability sit. Approach and Timing is Key! 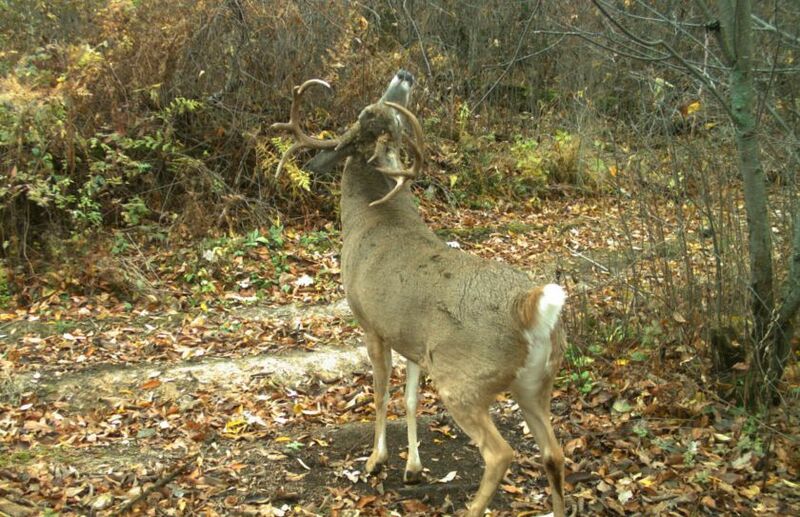 Whats the # rule of hunting a mature buck bedding area? Wait until the right time of the year! Those entrance or exit sits can be great in the early season, even during the late season, however those bedding area sits are typically morning only, and only during the calm, cold side of late October and early November cold fronts. It pays to be patient and move in silently when you know those bucks are active in the morning making rubs, scrapes, and pestering does within the large social areas around your property. When going in for a silent morning approach on a mature buck daytime hotspot, I personally think it is very difficult to use a climbing stand. Your stands and access up the tree should be completely quiet. An early season sit can work, but most often those big, fat, lazy bodies are plopped in a spot well before daylight and its pretty hard to beat them there. BUT, throw a cool morning into the mix, a good feeding moon, and an early season sit can be productive with plenty of weeks to allow the spot to settle back down if you end up spooking him. After you decide when to hunt a bedding area, you have to be able to get into your stands without spooking deer. That means avoiding large feeding and social areas in the morning, and at the same time avoiding bedded deer in the afternoon. You either need to recognize those areas and plan around themor better yet on private land enhance and build the habitat to drastically tilt the odds in your favor by placing the deer where you need them to be, to access your stands without spooking any deer. Although the older a buck gets the more predictable he becomeshe also becomes MUCH more reactive to hunting pressure-and thats the hard part! You can work around that difficulty by defining daytime hangouts, having a solid plan of attack with pre-hung stands and then accessing those stands at the right time of the season, the right way. However, you typically can only make 1 mistake.To put it simply I had the sick pleasure of missing the Wide 8 on an easy hunt with a muzzleloader in early December of 2010. It was towards the end of the season, it was 17 degrees, and several inches of fresh snow were on the ground. The wind direction was great, the weather pushing a huge feeding pattern, and the approach, the stand location and the time of day were all in my favor. I was planning to see the Wide 8, I expected to see the Wide 8, and I missed the Wide 8. The only problem, was ultimately...ME. Maybe it was too easy, maybe it was too expected and most likely I let my mind get the best of me, but thats why they call it hunting. A wise old monarch can be easy to hunt when you unravel the mysteries of his stubbornly defined patterns of daytime bedding and travel. The rest is up to you! This article was a revision of the original edition from 2010.